Groot Constantia is one of the country’s most popular wine estates. Known for its rich history – it’s the oldest wine producing farm in the country – and its award-winning wine, the estate is a haven from the hurly-burly rush of the city, despite the fact that it is just a 15-minute drive from Cape Town’s CBD. Part of the Big 6 tourist destinations in Cape Town – the others being Table Mountain, the V&A Waterfront, Robben Island, Kirstenbosch and Cape Point – Groot Constantia is a sprawling estate, home to two restaurants, a museum and a wine tasting facility that is a hive of activity. So, while the vine plays a huge part, there is so much more on offer here. Yes, wine is big here, but Groot Constantia also boasts two top-notch restaurants – Jonkershuis and Simon’s. These two beautiful restaurants also offer the perfect setting for any event – from a wedding to a conference. The Jonkershuis bistro is a Cape Town mainstay. 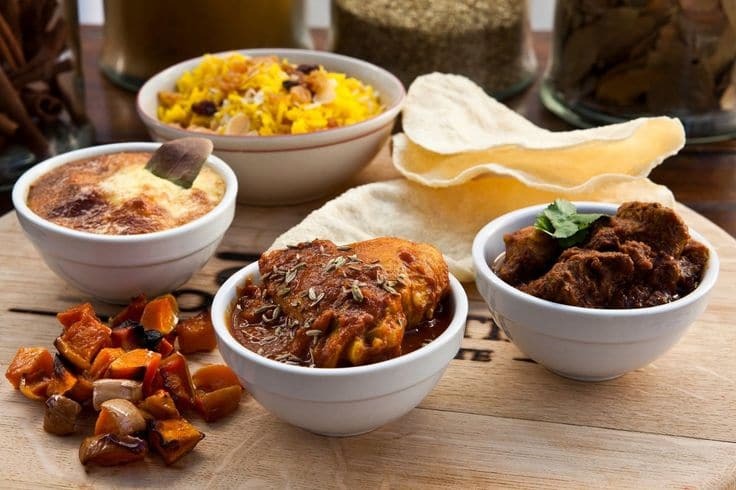 A dining experience with views that stun as much as the food, dishes focus on ethical farming and reflect the rich Cape Malay heritage. With stunning vineyard views and a simple but outstanding menu, Jonkershuis is a favourite for locals for anything from coffee to sundowners to Sunday lunch. Children can safely play on the front lawns while diners sit under the shade of oak trees. Indoors, the courtyard has a rustic and inviting charm safe from unfriendly weather. Nestled in the Groot Constantia vineyards is the charming Simon’s Restaurant. A Cape Town institution, it’s well known for its panoramic views, homemade meals and craft beer selection. Simon’s is a favourite Sunday lunch spot. Opt for less a busy lunch during the week, and order their famous Royal Burger. 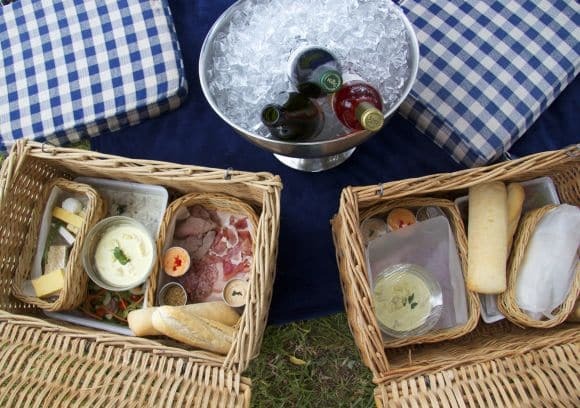 Come summertime in the Mother City, you would do well to take advantage of their offerings by sprawling out on Groot Constantia’s lush green lawns for an epic picnic. You can pre-order a packed basket from Simon’s Picnics. Baskets contain a selection of pâtés and dips, baguette, cured and home cooked cold cuts, classic Coronation chicken salad, potato salad with mustard mayo, green salad pack, select local cheese, biscuits and preserves, and dessert. 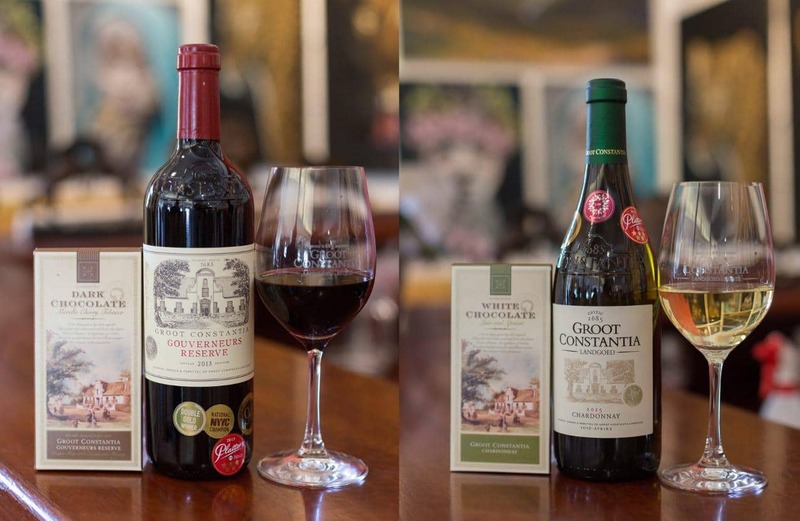 Found in 1685 by former Governor Simon van der Stel, Groot Constantia’s history is very much tied into that of Cape Town and as such the estate has been mindful of displaying that. As the oldest vineyard in South Africa, Groot Constantia is home to some incredible artefacts of the Cape’s past. Many of these are on display at the Manor House, including paintings, photographs, furniture and collectibles from the estate’s history. The Manor House is a must see if you’re making a day of your visit to Groot Constantia. The Groot Constantia Gallery, meanwhile, puts the spotlight on some of the most outstanding art produced by local artists in South Africa. With a permanent exhibition, as well as rotating special showings, the gallery is always at the forefront of South African art. Housed within the wine estate’s tasting room, it’s a favourite for pre- or post-wine tasting. Speaking of wine, let’s dig a little deeper into that. Groot Constantia is certainly no stranger to the plaudits and in 2016 its Chardonnay was named THE WORLD’S BEST. Unfortunately, you won’t be getting your hands on a bottle as it sold out soon after. There are plenty of superb wines to get stuck into and you can learn about South African wines from the oldest winemakers in the country. Wine and cellar tours go inside the process from vine to glass. Prepare your senses for the incredible range of locally produced wines you’ll experience on menus across the country. Constantia Valley has been producing wine since the late 1600s, so it’s no secret why this is the first spot locals visit for tastings. Don’t miss out on the award winning Sauvignon Blanc. Tastings are held daily. Hour-long cellar tours leave daily on the hour, taking you through a modern cellar and include wine tasting.